Below you fill find all funeral homes and cemeteries in or near Huntsville. Suburbs of Huntsville: Redstone Arsenal, Huntsville Utilities, Intergraph Corporation, Munitions Missle Com Sch, Oakwood College, Redstone Central, Redstone Fed Credit Union, Univ of Alabama Hsv. 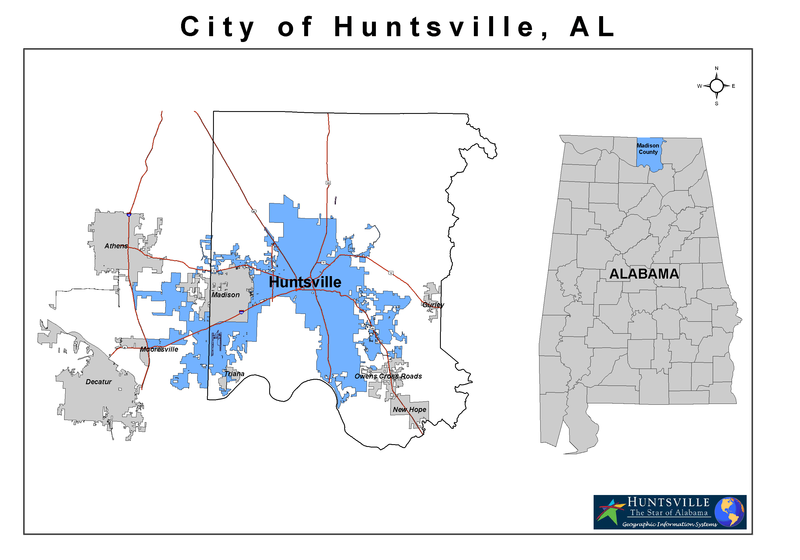 Huntsville is also known as: West Huntsville, West Huntsville, Alabama, and Madison County / Huntsville city. Their current mayor is Mayor Tommy Battle. Zip codes in the city: 05, 35806, 35807, 35808, 35809, 35810, 35811, 35812, 35813, 35814, 35815, 35816, 35824, 35893, 35894, 35895, 35896, 35897, 35898, 35899. Huntsville has been featured in films like: Battle Beyond the Stars (1980), SpaceCamp (1986), Constellation (2007), and Crisis: Behind a Presidential Commitment (1963). Some of the notable people born here have been: Felicia Day (actor and television producer), Jimmy Wales (entrepreneur and businessperson), Rashad Moore (american football player), Bo Bice (singer), Bobby Eaton (wrestler), Jimmy Means (race car driver), and Kim Dickens (actor). Huntsville is home to the following sports teams: Huntsville Havoc, Huntsville Blast, and Huntsville Channel Cats. Huntsville is a city located primarily in Madison County in the central part of the far northern region of the State of Alabama. Huntsville is the county seat of Madison County. The city extends west into neighboring Limestone County. Huntsville's population was 180,105 as of the 2010 census. The Huntsville Metropolitan Area's population was 417,593. Huntsville is the fourth-largest city in Alabama and the largest city in the five-county Huntsville-Decatur Combined Statistical Area, which at the 2013 census estimate had a total population of 683,871. In 2013, the Huntsville metropolitan area became the 2nd largest in Alabama with a population of 435,737.It grew across nearby hills north of the Tennessee River, adding textile mills, then munitions factories, NASA's Marshall Space Flight Center and the United States Army Aviation and Missile Command nearby at the Redstone Arsenal. The National Trust for Historic Preservation named Huntsville to its "America's Dozen Distinctive Destinations for 2010" list. It was noted on March 31st, 2019 that Philip Lawrence B G Bolte perished in Huntsville, Alabama. Bolte was 90 years old. Send flowers to express your sympathy and honor Philip Lawrence B G's life. It was noted on December 30th, 2018 that Rita Mae Dumbacher (Schoborg) passed on in Huntsville, Alabama. Ms. Dumbacher was 85 years old. Send flowers to share your condolences and honor Rita Mae's life. It was written on November 10th, 2018 that Norma Bowles (Bennett) passed away in Huntsville, Alabama. Ms. Bowles was 67 years old and was born in Hinton, WV. Send flowers to express your sorrow and honor Norma's life. It was noted on September 1st, 2018 that Ruth Elaine Besse (Dean) perished in Huntsville, Alabama. Ms. Besse was 90 years old and was born in Gulfport, MS. Send flowers to share your condolences and honor Ruth Elaine's life. It was reported by The News Tribune on August 19th, 2018 that Chharles W Weeks perished in University Place, Washington. Weeks was 61 years old and was born in Huntsville, AL. Send flowers to share your condolences and honor Chharles W's life. It was reported by The Times on August 12th, 2018 that Joyce Fay Riley passed away in Buford, Georgia. Riley was 87 years old and was born in Huntsville, AL. Send flowers to express your sorrow and honor Joyce Fay's life. It was reported by San Diego Union-Tribune on July 11th, 2018 that Louis Ezell Crutcher died in Yuma, California. Crutcher was 81 years old and was born in Huntsville, AL. Send flowers to express your sympathy and honor Louis Ezell's life. It was disclosed on June 8th, 2018 that Frankie Ray Sr "Frank" Putnam passed away in Huntsville, Alabama. Putnam was 86 years old and was born in Lawrence Co, IL. Send flowers to express your sympathy and honor Frankie Ray Sr "Frank"'s life. It was revealed on May 15th, 2018 that James Frederick Crews passed on in Huntsville, Alabama. Crews was 89 years old. Send flowers to express your sorrow and honor James Frederick's life. It was disclosed by Star Beacon on May 2nd, 2018 that Fannie Mae MacK (Beasley) perished in Ashtabula, Ohio. Ms. MacK was 94 years old and was born in Huntsville, AL. Send flowers to express your sorrow and honor Fannie Mae's life. Whether you are sending funeral flowers or planning a funeral iMortuary strives to provide you with comprehensive listings of the funeral providers in Huntsville to make this process easier. Browse our site to locate the Huntsville funeral homes, cemeteries, cremation providers and funeral flowers that suit your needs. 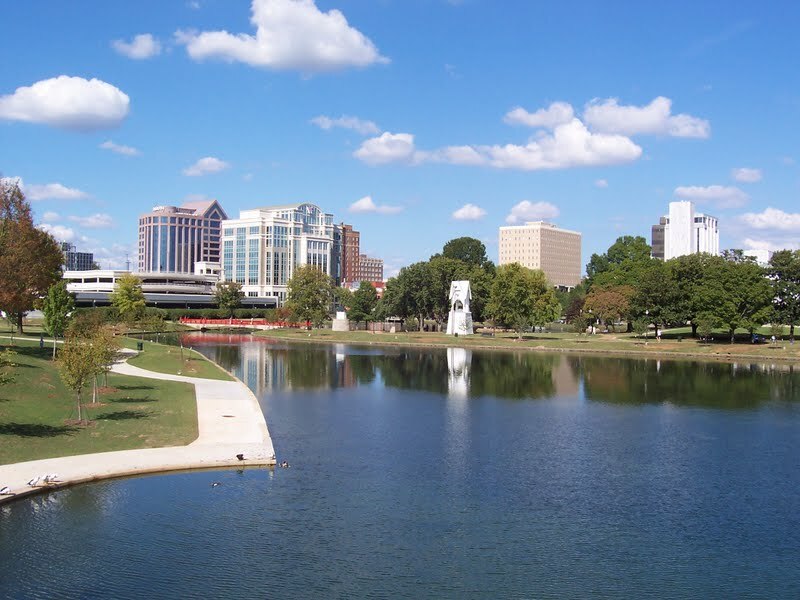 Huntsville, nicknamed "Rocket City", has an economy based mainly on military and aerospace technology. It is the home of Cummings Research Park, the US Army Aviation and Missile Command at the Redstone Arsenal, and NASA's Marshall Space Flight Center. The official website for the city of Huntsville is https://www.huntsvilleal.gov/. Listing all funeral homes in Huntsville, Alabama so you can easily send flowers to any location (same day delivery) or find any funeral service. Funerals in Huntsville, AL on Yahoo! Local Get Ratings & Reviews on Funerals with Photos, Maps, Driving Directions and more. funerals in Huntsville, AL 35801 on Yahoo! Local Get Ratings & Reviews on funerals with Photos, Maps, Driving Directions and more. We work with local florists and flower shops to offer same day delivery. You will find budget sympathy flowers in Huntsville here. Our funeral flowers are cheap in price but not in value.